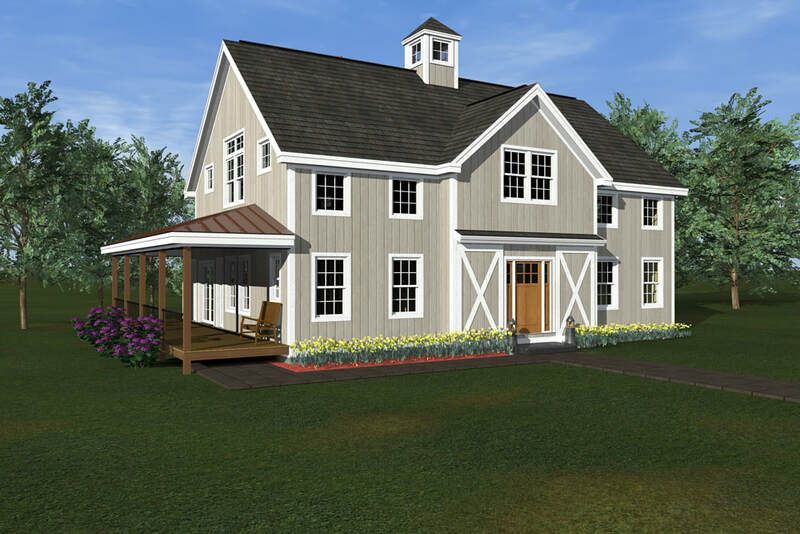 HILLTOP BARN STYLE POST & BEAM- 2,872 sq. ft.
With 2,872 square feet, this barn style home was designed to take advantage of the 360 degree views of 3 mountains in Vermont. 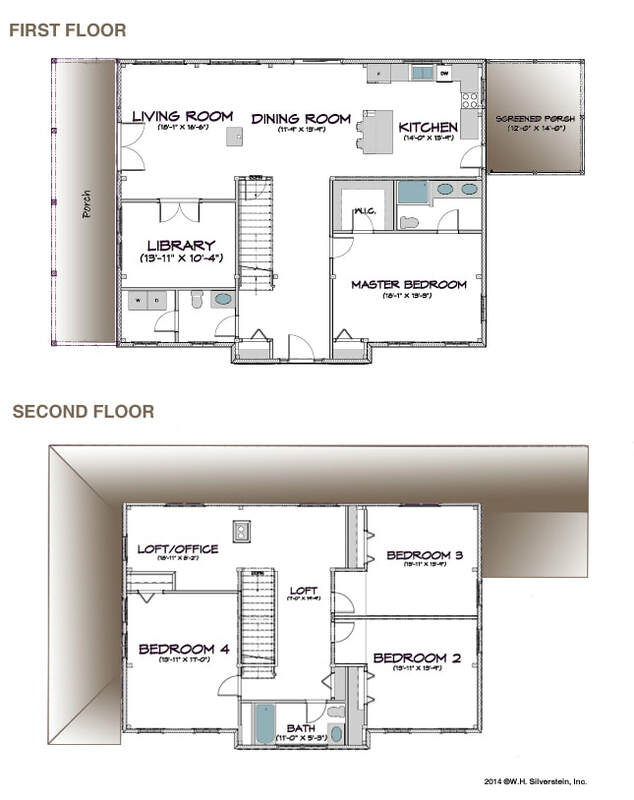 The first floor is 1,608 square feet and the second floor is 1,264 square feet. 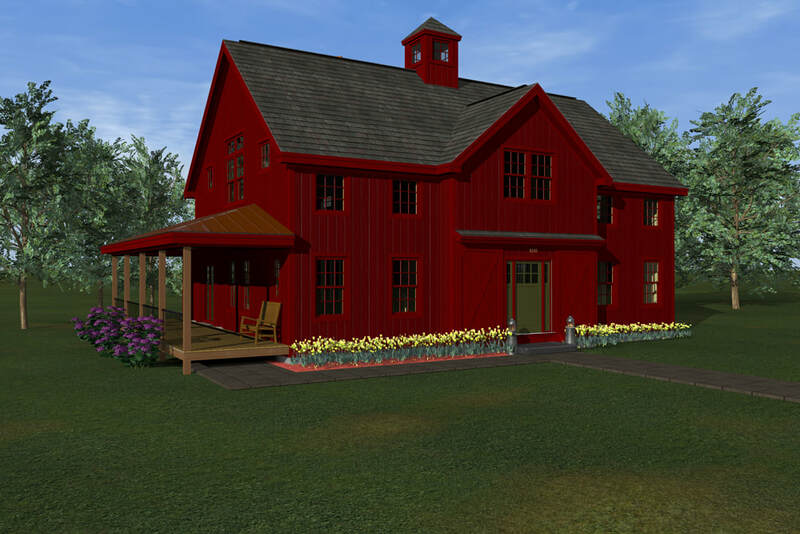 For a different take on this design visit the Hilltop Farmhouse.